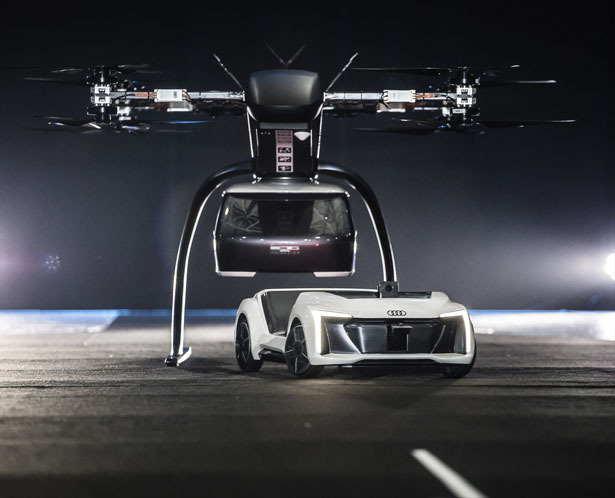 Audi, Airbus, and Italdesign Tests “Pop.Up Next” Flying Taxi for Future Transportation - AutoReportNG "AutoReportNG-The No 1 Car Blog In Nigeria That You Can Trust - AutoReportNG"
In a world of diverse and incredible technology, the world is moving at a very fast pace and it takes only the smart to catch up, don't be surprised when the world starts flying on drones very soon, as we already seen in Dubai. 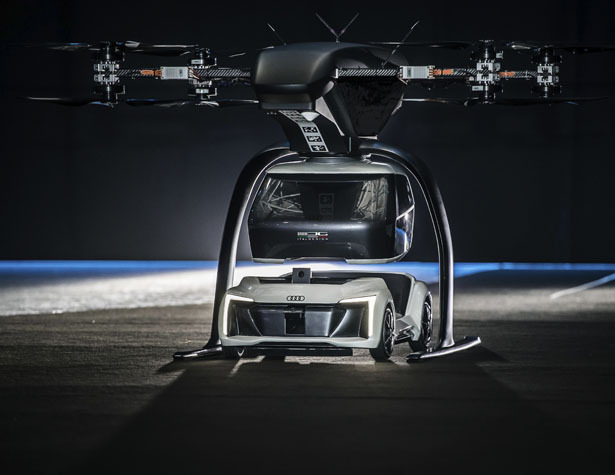 During Drone Week in Amsterdam, Audi, Airbus, and Italdesign have presented “Pop.Up Next” Flying Taxi prototype for the first time. 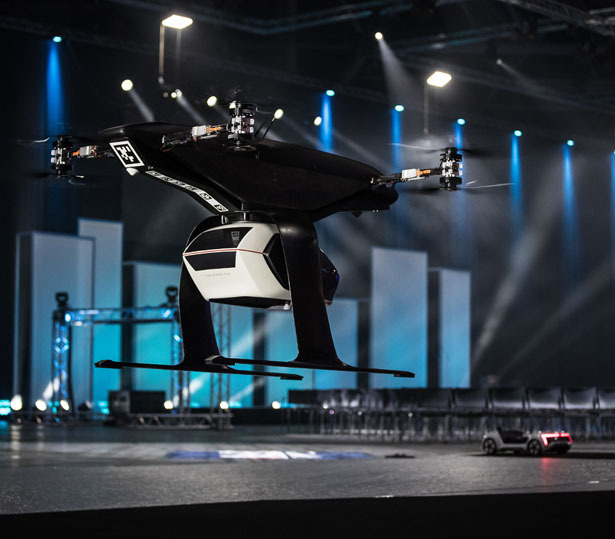 This high-tech transportation system could be our future of a flying taxi by combining a self-driving electric car with a passenger drone. 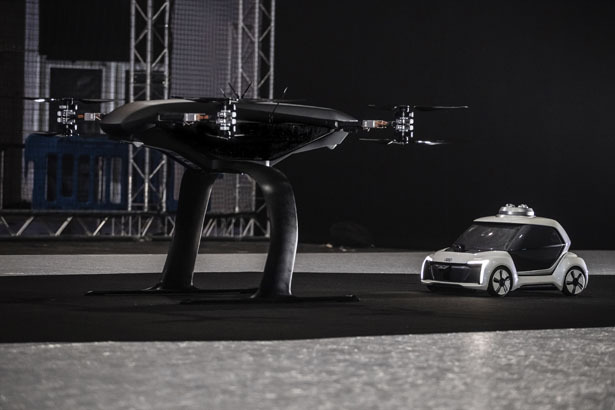 During the first public test flight, the flight module could place a passenger capsule accurately on the ground module, then it drove from test grounds autonomously. 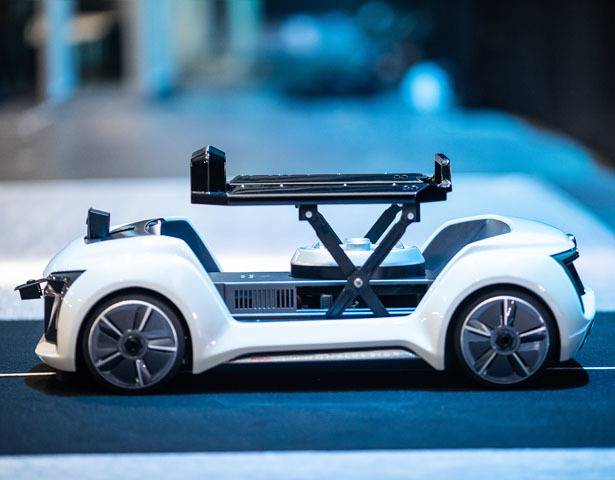 Even though it’s still 1:4 scale model, but it’s highly possible that in coming decade, you could enjoy this convenient and efficient flying taxi service in large cities with the multi-modal operation, in the air, and on the road. Passengers don’t need to change vehicles, they can relax or work in their cabin and let the system do the rest. 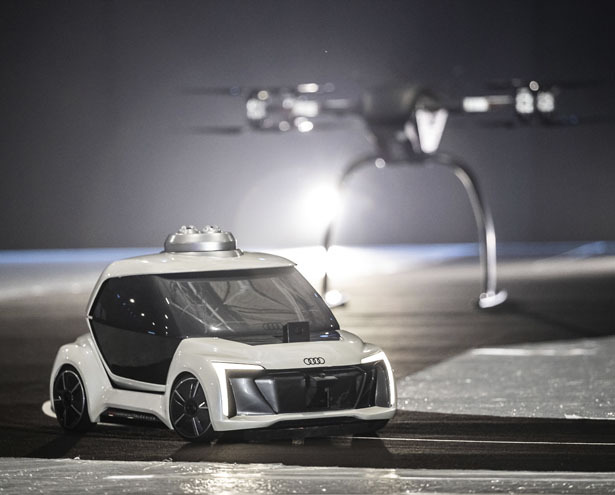 Audi believes, flying taxis are our future, more and more people are moving to the cities and more people would be grateful for automation. 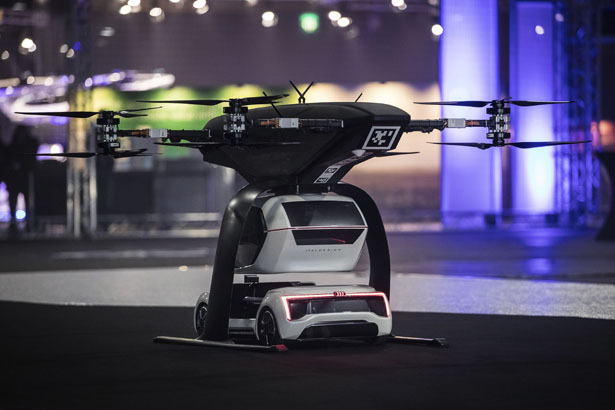 Senior citizens, children, and people without driver’s license will want to use convenient robot taxis. 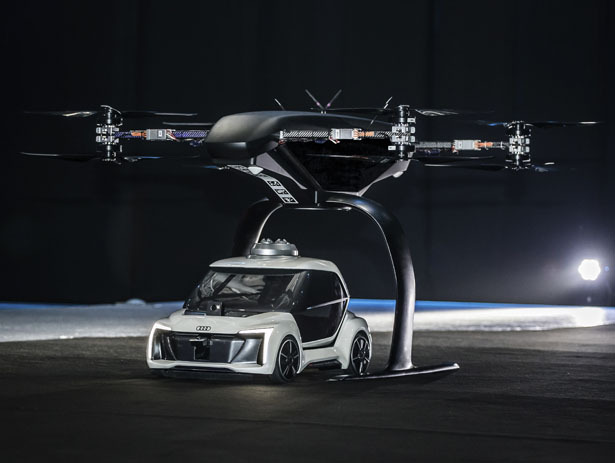 This futuristic Audi Pop.Up Next Flying Taxi transportation system would also make a smart allocation of traffic between roads and airspace, all of us would eventually benefit in equal measure.